The Continental Celebrity Club is a variety show in true fashion, with drama shorts, orchestra music, celebrity guests, and comedy. 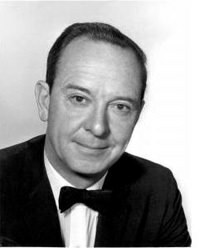 The comedic sections were performed by Jackie Kelk, who was also Homer Brown on The Aldrich Family. John Charles Daly was the host of The Continental Celebrity Club. Daly was a famed WWII news correspondent and also hosted quiz show What's My Line? John Charles Daly interviewed celebrities including Anne Rutherford, Dorothy Lamour, Peter Lawford, and many more. Many guest stars performed songs and acted in the dramatic shorts. 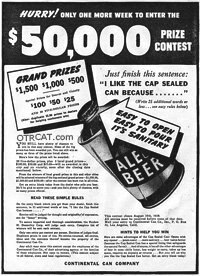 Sponsored by the Continental Can Company, there are charming pro-canned food commercials in this old time radio show. Be the first to comment on "Continental Celebrity Club"